No band epitomizes rock and roll more than the legendary Motörhead™ and now NetEnt™ have brought them to the reels! Join the one and only Ian Fraser “Lemmy” Kilmister and the boys in this rockin’ video slot that is the latest instalment in the Netent Rocks™ series. 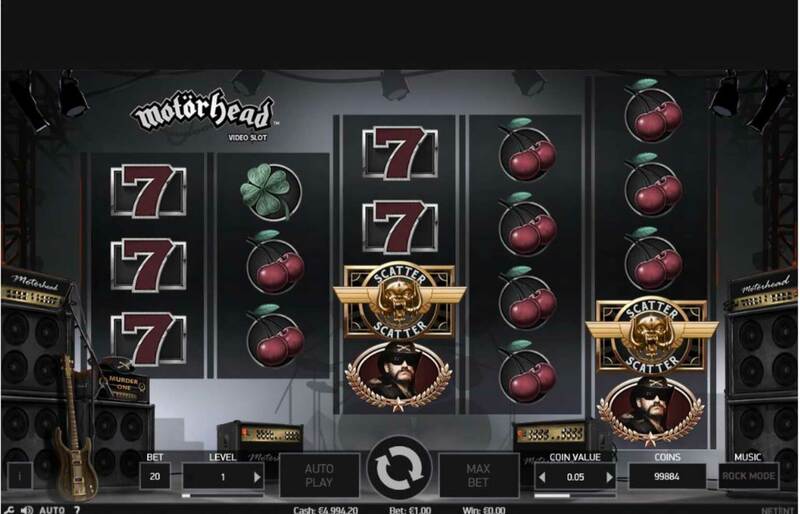 Motörhead Video Slot™ is a 5-reel, 76-line (fixed) video slot with Free Spins, Wild substitutions, a Bomber Feature and a Mystery Reel feature. It’s time to turn on the speakers, crank up the volume to the Max and experience the excitement of Motörhead Video Slot™! 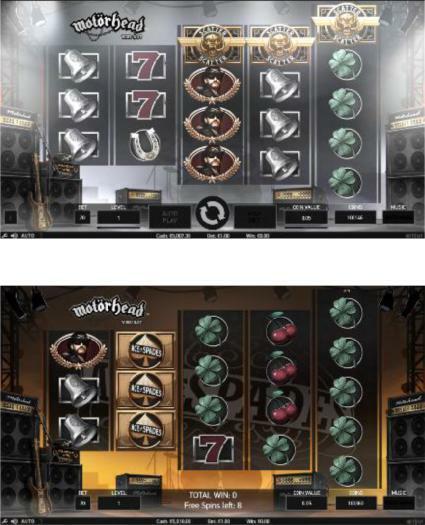 Motörhead Video Slot™ celebrates the hard-rock pioneers with an old-school video slot set on a live music stage. Motörhead Video Slot™ players can activate “rock mode” that turns the Motörhead music up loud while the game is being played. 3 Scatter symbols appearing anywhere on reels 3, 4, and 5, in the main game activates 10 Free Spins. During Free Spins, the Mystery Reels consist of both Mystery symbols and Wild symbols. Free Spins are played at the same bet level and coin value as the round that activated Free Spins. The number of Free Spins awarded is according to the paytable. Additional Free Spins cannot be won during Free Spins. The total win field includes any wins during Free Spins added to any wins from the round that activated Free Spins. Free Spin wins are added to any bet line wins.